The startups will pitch to an audience of Venture Capitalists, Angel Investors, and decision makers at large tech companies, in hopes of closing their first (or next) round of funding. This batch of companies includes products and services ranging from a professional photographer booking system, “Goodreads for the Snapchat generation”, “Thumbtack for Korea”, a new-age supermarket, and conversation analytics for sales teams to an app for analyzing acne, portable box houses, a Fitbit for Dairy cows, and more. As of March 23, 2017, 103 companies have been publicly announced. Login to Mattermark to see the complete list. We ranked this batch of Y Combinator companies who had publicly announced their involvement in Y Combinator as of March 20, 2017 and found the following 25 with the highest Mattermark Growth Score. Snappr offers affordable, on-demand professional photography services. Mattermark Growth Score: 731. Beek is the largest book review site in Latin America and enables users to discover and buy millions of books. Mattermark Growth Score: 639. Brave Mobile (Soomgo) is a local service marketplace that helps service providers such as movers, piano teachers and event planners find new customers. “Thumbtack for Korea”. Mattermark Growth Score: 615. Scaphold is a real-time GraphQL backend as a service. The platform will provide a number of services including push notifications, analytics, file storage, custom code, multiple environments, and more to allow developers to build mobile, web, and IOT applications. Mattermark Growth Score: 592. Riley is a personal assistant and lead management solution for real estate professionals. Mattermark Growth Score: 547. Voodoo Manufacturing is building a virtualized manufacturing, prototyping, and design service on top of a networked cluster of low-end 3D printers. Mattermark Growth Score: 455. Penny is a personal finance coach app that takes the pain out of keeping track of your finances. Mattermark Growth Score: 399. Moneytis compares the cheapest ways to send money between 2 countries, and let the user transfer easily via traditionals, P2P, and Blockchain. Mattermark Growth Score: 305. Supr Daily is a daily milk delivery service in India for milk brands like Amul, Gokul, Mother Dairy, Mahananda, Aarey and more. Mattermark Growth Score: 301. Pilot is a marketplace where companies can hire contract developers and designers from anywhere in the world. Mattermark Growth Score: 289. Sudden Coffee is an ecommerce site that sells vials of custom instant coffee via a monthly subscription. Mattermark Growth Score: 262. UpKeep is a mobile-first maintenance management software program that helps users keep track of work orders, assets, and schedule preventative maintenance. Mattermark Growth Score: 255. Bitrise saves time and ensures code quality through automating building, testing and deployment cycles for mobile app developers. Mattermark Growth Score: 251. Tress is a community of black women from around the world sharing and discovering new hairstyles. Mattermark Growth Score: 234. MDacne is an app for analyzing acne prone skin that provides real-time information about acne type and severity, together with a custom personal acne treatment plan. Mattermark Growth Score: 220. Humi is Canada’s free, complete HR solution. Digital employee onboarding, time off tracking, benefits integration, payroll digest, and more. Mattermark Growth Score: 182. Pantheon is a virtual reality app that allows anyone to create and share their own VR games. Mattermark Growth Score: 176. RankScience is a continuous-optimization platform that improves website SEO through automatic A/B testing and data science. Mattermark Growth Score: 172. Claire is a chatbot for testing consumer products, helping brands and retailers identify best-sellers and worst performers pre-production. Mattermark Growth Score: 170. Paragon One is an online college career center that provides automated assessment and personalized career plan matches international students with experienced professionals for coaching and assistance in securing top internships and jobs Mattermark Growth Score: 158. WaystoCap is a B2B marketplace where businesses in Africa can buy and sell products. Beyond just product discovery and verification, WaystoCap helps businesses in obtaining financing and insurance, managing their shipments, and ensuring payments security. Mattermark Growth Score: 148. Vize is an intuitive visual analytics data tool that empowers anyone to prepare, visualize, calculate, and present data to answer new business questions. Mattermark Growth Score: 147. Arthena is an equity crowdfunding platform that enables individuals to access, collect, and invest in the global supply of art with art world experts. Mattermark Growth Score: 128. Hivy is a platform for office managers that allows them to organize their projects, collect employees’ orders and feedback, and seamlessly purchase everything they need to keep the office running. Mattermark Growth Score: 128. Lively provides a Health Savings Account that enables individuals to optimize their healthcare spending, maximize their savings, and better their livelihood. Mattermark Growth Score: 116. 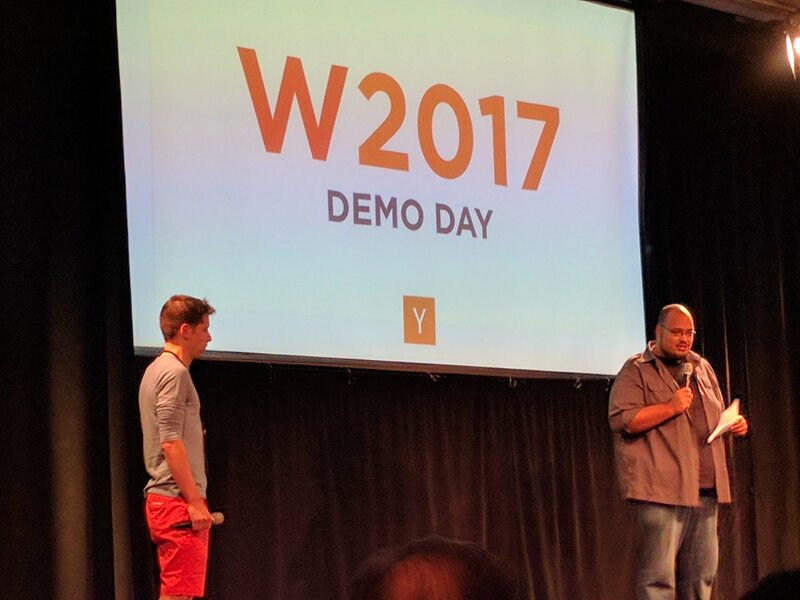 How does the Y Combinator Winter 2017 batch compare to previous batches? What industries are most represented in the Y Combinator Winter 2017 batch?